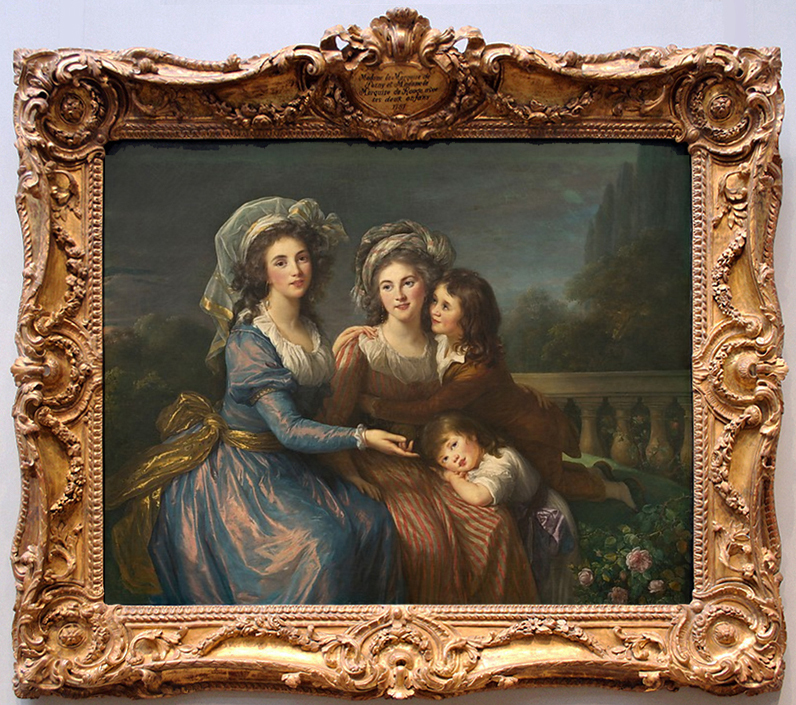 Paul Mitchell considers the work of one of the great maîtres-sculpteurs of 18th century Paris in the light of a picture frame bearing his stamp. 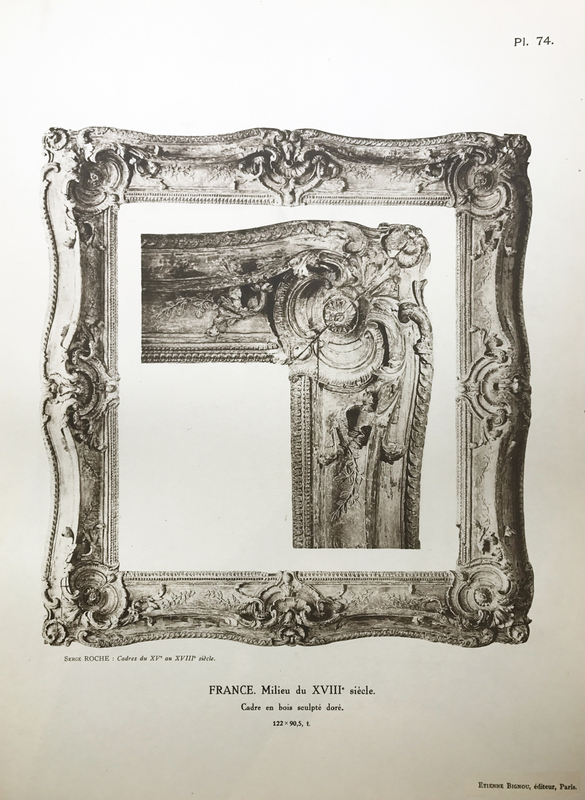 The rare appearance of an signed French picture frame provides an opportunity to focus attention on what must be the most underestimated and neglected aspect of the French decorative arts. A fuller study of the subject will undoubtedly produce many new facts as museums and art galleries, as well as dealers and private collectors, begin to record systematically any information available about makers’ marks, the whereabouts of examples of specific patterns, and the provenances and origins of frames, as well as developing a more general awareness of style and dating. Photographic surveys undertaken by the present author enable some of the missing pieces in this vast jigsaw to be put into place. As the picture becomes clearer it is often possible to demonstrate which is the historically appropriate or authentic design to be selected when reframing is needed. 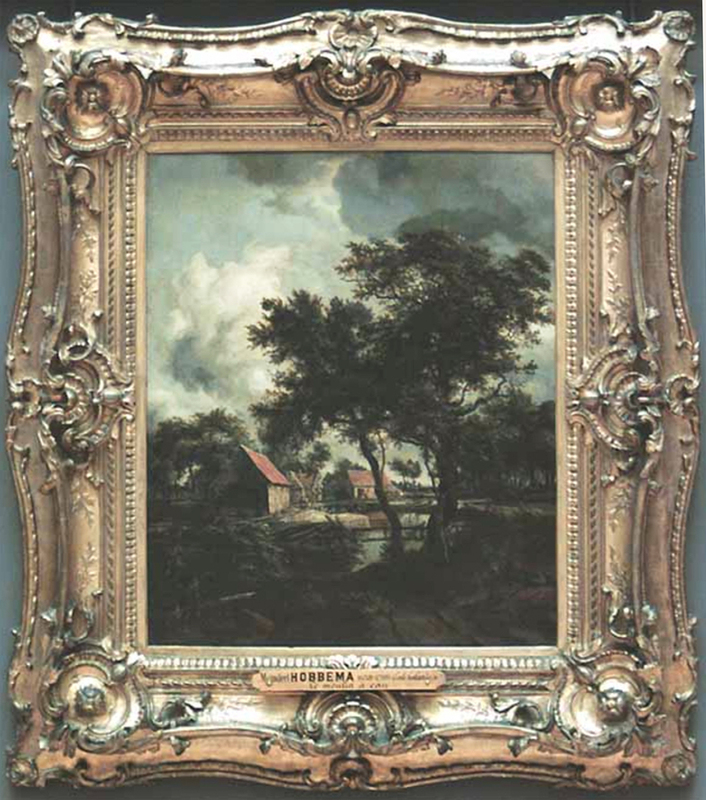 Also beneficial is the factor that a frame can often provide a vital clue in tracing a provenance since distinct ‘house styles’ of framing were applied to whole collections at certain dates, and, when changing hands, a painting tended in previous centuries to be reframed in the most up-to-date style. It is in this context that we can turn to the finely carved frame (figs 1, 2 & 3) which is stamped ‘CHERIN’ on the back, in the centre of a long side . 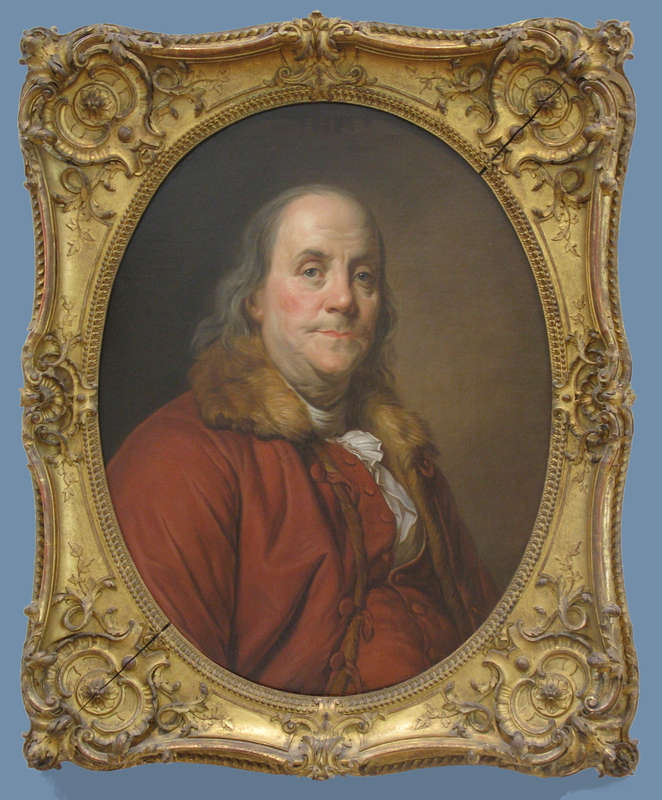 In common with almost all framemakers, as well as many other skilled craftsmen, biographical details are extremely scarce. Often, as with Chérin himself, their stature and working careers can be assessed only from the quality of their identifiable frames and the range of styles displayed by them. We know that Jean Chérin was admitted to the prestigious Académie de Saint-Luc on 14 August 1760 as a menuisier-sculpteur, at which time he was living in the rue de Charonne . Members of this guild included painters and sculptors, and automatically became maîtres on admission, having qualified in their respective crafts . 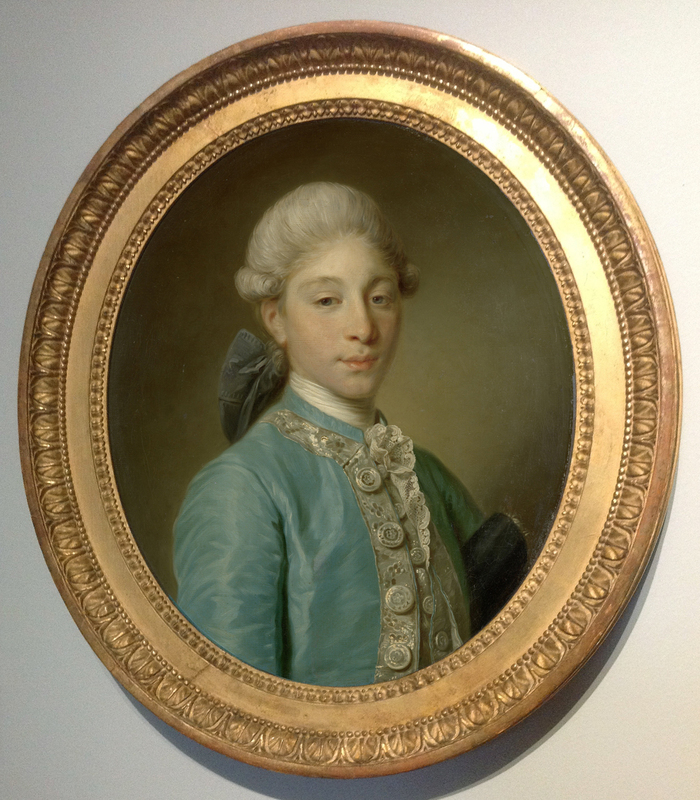 Chérin specialized in framemaking, and in this field he is recorded as a supplier and assistant to the Menus-Plaisirs, the department and drawing-office of the Royal Household responsible for special furnishings used in royal entertainments and banquets . That he was classed as a sculptor, when many framemakers were listed as menuisiers (carpenter-carvers) or menuisier-ébénistes (cabinetmakers), is borne out by the exceptional quality of the carving in this frame (figs 1-3) . Frames for pictures and looking-glasses, as well as bordures (curved and irregular shapes) and decorative wall panelling (boiseries), were executed by menuisiers, often with the collaboration of other wood-carvers. With his specialist skills as a sculpteur, Chérin would almost certainly have executed this entire frame himself. Its character is distinguished by the serpentine profile carved with entrelac, or guilloche, which amplifies the inner top rail. These curves are centred on the long sides with scrollwork cartouches containing a floral patera, bordered by rocailles, a C-scroll and acanthus leaf. On either side are roses-à-tiges (acanthus and smaller leaves springing from flowerheads). The short side centres consist of foliate C-scrolls containing a flower, above a cabochon. The corners are similar to the long side centres, the paterae being replaced with a shell, echoed by fanned lambrequins on the outer angle. A fine raised fillet frames the panels containing the leaves and roses-à-tiges between the corners and centres; the sight edge is defined by beading and rais-de-coeurs. The construction is in the traditional French manner, and the carcass consists of limewood glued and dowelled to an oak back, mitred with tapering wedges. Corners, centres and the top rail are carved in the free-cutting limewood favoured by sculptors, whilst the outer edges have been carved into the oak. The gilding would have been undertaken by a specialist doreur. After several coats of gesso, the softened edges of ornament have to be reanimated with recutting chisels by a ciseleur (who will also have been a doreur), followed by the application of bole and water gilding. Raised edges were burnished and panels left matte, creating the overall effect of solid gold, deliberately and mutually matching the ‘bronze doré au mat’ mounts specially made for furniture. 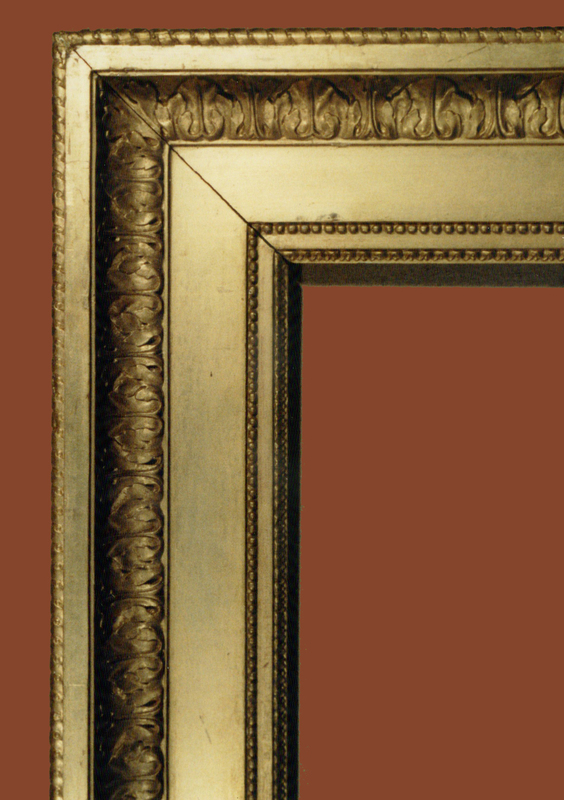 From its general characteristics this frame may be identified as belonging to the early years of le style transition, and may have appeared first between c.1760-65, or perhaps slightly earlier, whilst continuing into the 1770s alongside new Louis XVI designs. New patterns were slow to appear and disappear, with several overlapping at any given time. 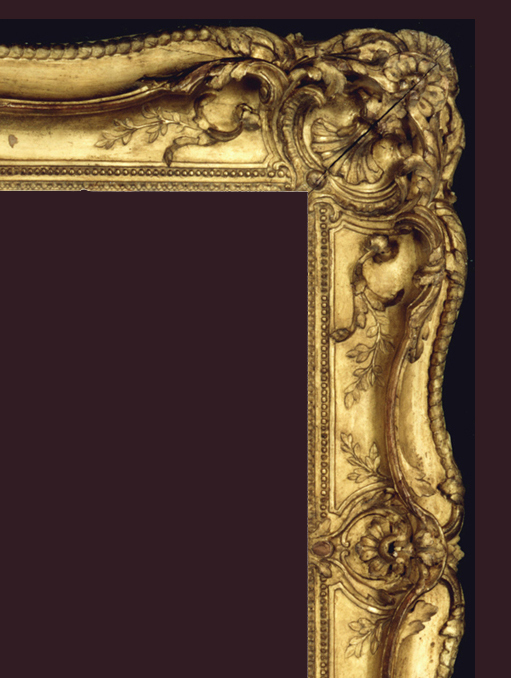 Although decorative in a Rococo sense, with curvilinear profile and rocaille ornaments, the overall effect is symmetrical and academic by comparison with early Louis XV frames, such as Pater’s The vivandières of Brest (fig. 4). Here the outline is rectangular with an ovolo moulding, and the sight edge is carved with alternating acanthus leaves and flowers. In Chérin’s frame the edges are replaced by antique ornamentation, respectively entrelac and rais-de-coeurs with beading. Entrelac (or rubans tournants) is a prominent feature of chair rails and backs c. 1765-70, and provides further evidence of the frame’s date. Fine examples with serpentine form can be seen in the set of armchairs by M. Gourdin in the Wallace Collection . Furthermore, the strongly sculptural quality in the acanthus carvings and angular scrolled ends of the top rails echo motifs of the Louis XIV style which recurred during the change from Rococo to NeoClassicism . Our understanding of the pattern to which Chérin worked may be broadened by examining its immediate and related predecessors and followers. 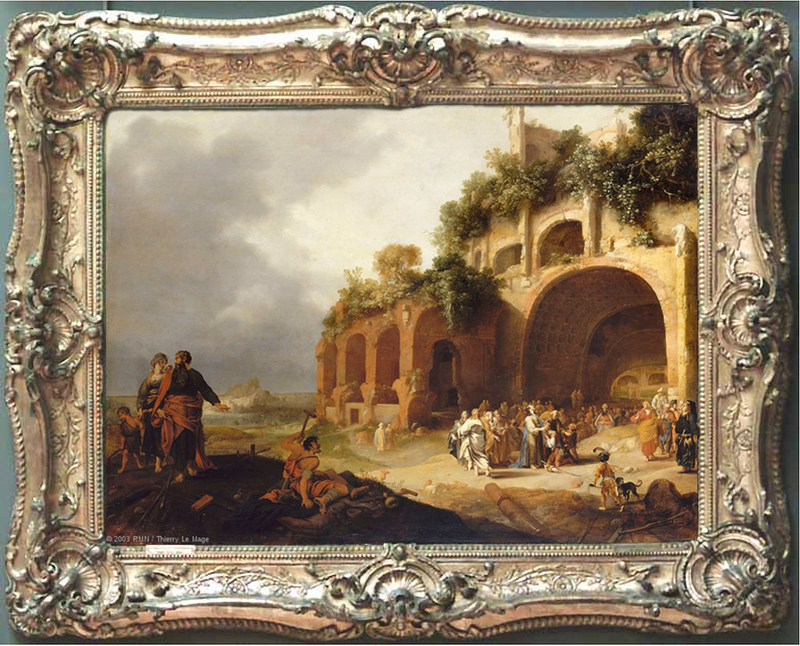 In placing this frame within its stylistic context two important designs may be charted. The first (fig. 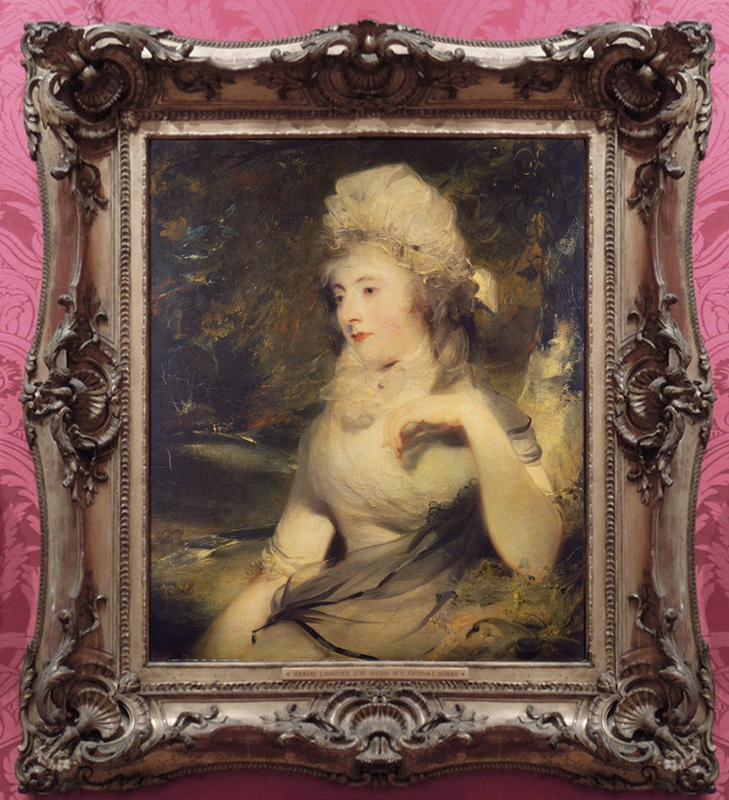 5) is clearly in the fully-developed Rococo idiom, and dateable to about 1750. The back edge is decorated with an ovolo moulding, as in the frame of the Pater, above, but is serpentine rather than rectangular in outline. The rails join in asymmetric rocailles at the corners and centres. Close to the leaf-&-flower sight edge, a bold half-round moulding meanders, echoing both the top and back rails, unlike its straight counterpart (fig. 1). In the second step towards the Chérin model, the frame with oval sight (fig. 6), although now having classical mouldings, still retains its asymmetric rocailles. At this point it is tempting to speculate on who might have designed these precedents. 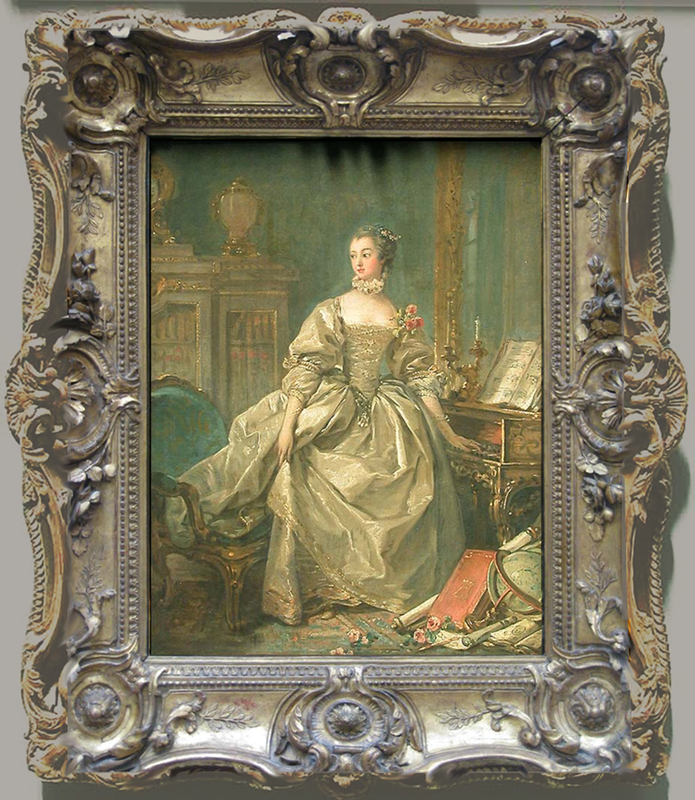 Among the decorative specialists at this period who designed frames the most likely candidates are Nicolas Pineau (1684-1754) and Charles Etienne Briseux (1680-1754) . Fig. 7, which shows Pineau experimenting with carved and straight sides, may be compared to figs 5 and 6 for its use of rocailles and rail formations . Late transitional, as well as fully stylistic Louis XVI developments, following the Chérin model, are seen in figs 8 and 9. The majestic frame in fig. 8 reflects the prevailing taste of the late 1760s in its decoration, and that emulation of classical antiquity known in its purer form as the goût grec. Here, massive corner ornaments and inner & outer mouldings have survived, now connected by a straight moulding of acanthus leaves and a frieze of scrolling foliage and flowerheads . 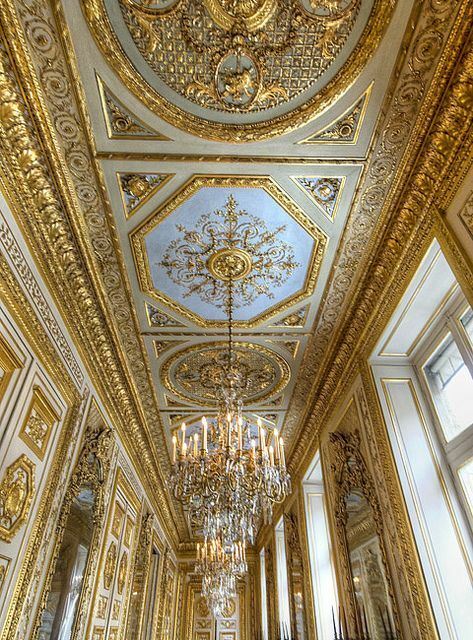 These architectural features may be compared with Ange-Jacques Gabriel’s ceiling cornice in the Galerie Dorée of the Gardemeuble de la Couronne (now the Ministre de la Marine), Paris, completed between 1768 and 1772 . 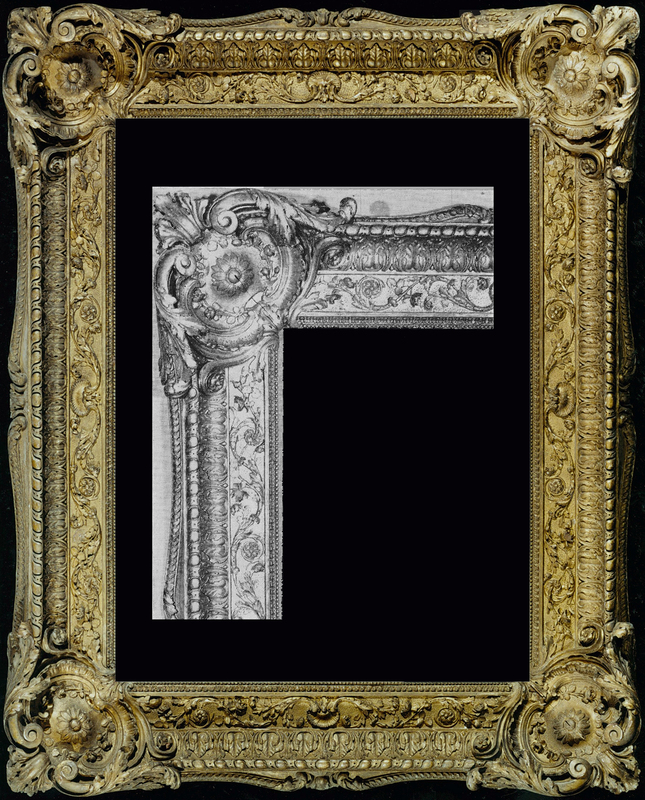 It is highly probable that this frame was commissioned for a specific location, and this comparison underlines the fact that the design of picture frames, as well as furniture and fittings, had to conform to a unified style of interior decoration. 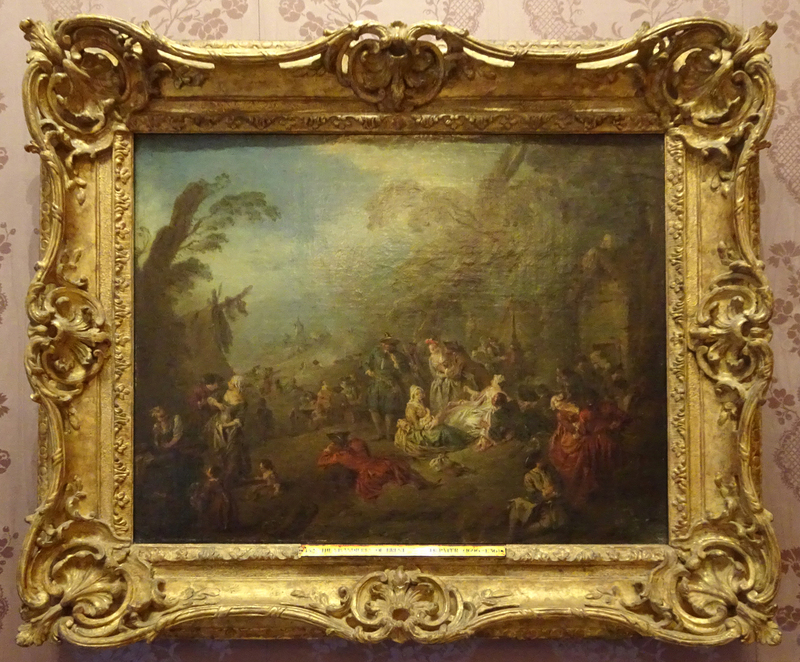 The last example in this stylistic progression is an important pure Louis XVI frame (fig. 9), forms of which first appeared in the mid-1770s and continued to the Revolution, when they were superseded by the Directoire styles. Rococo elements have now been eliminated, leaving a rectilinear form, devoid of any decorative focal points. The same classical mouldings occur, and this new streamlined style was certainly part of Chérin’s later work . 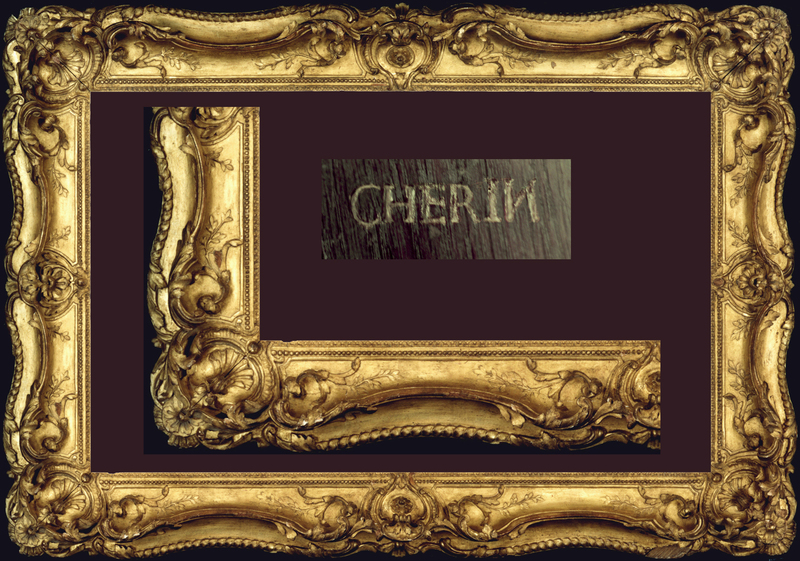 The discovery of further signed frames by Chérin will give a clearer idea of his output. Judging by the numbers recorded so far (see below) this pattern, with minor variations, must have been produced by several framemaking workshops in 18th century Paris, and was copied in plaster in later years. 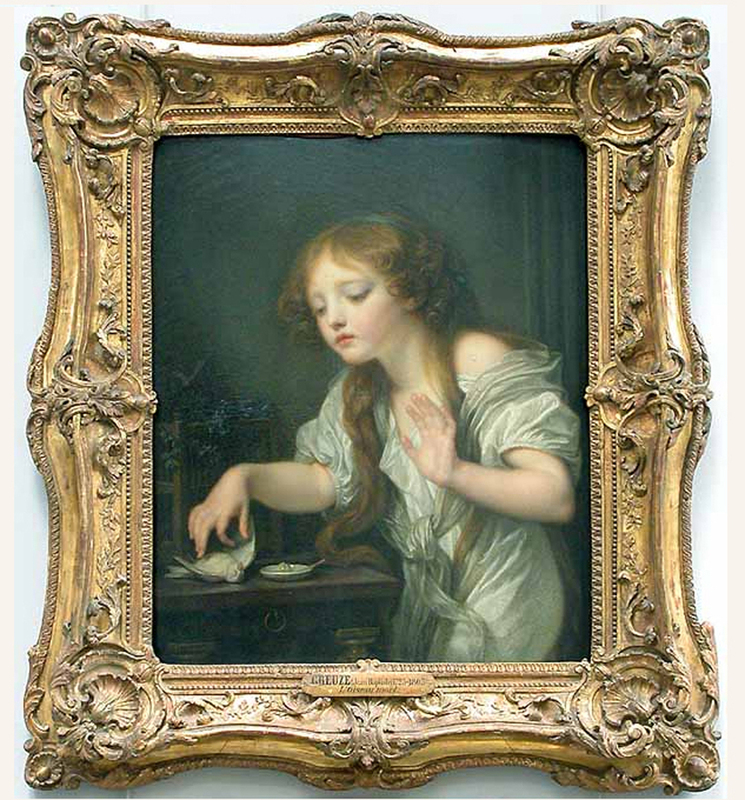 Research and photographic records undertaken by the author have so far revealed 24 examples of Chérin frames in various collections (below); one more example of the transitional style is also illustrated by Serge Roche (fig. 10). Jean-Honoré Fragonard(1732-1806), Cupid among roses, c.1775, oval: 21 1/2 x 17 3/4 ins; 54.6 x 45.1 cm. All are carved, with one exception – the frame shown in fig. 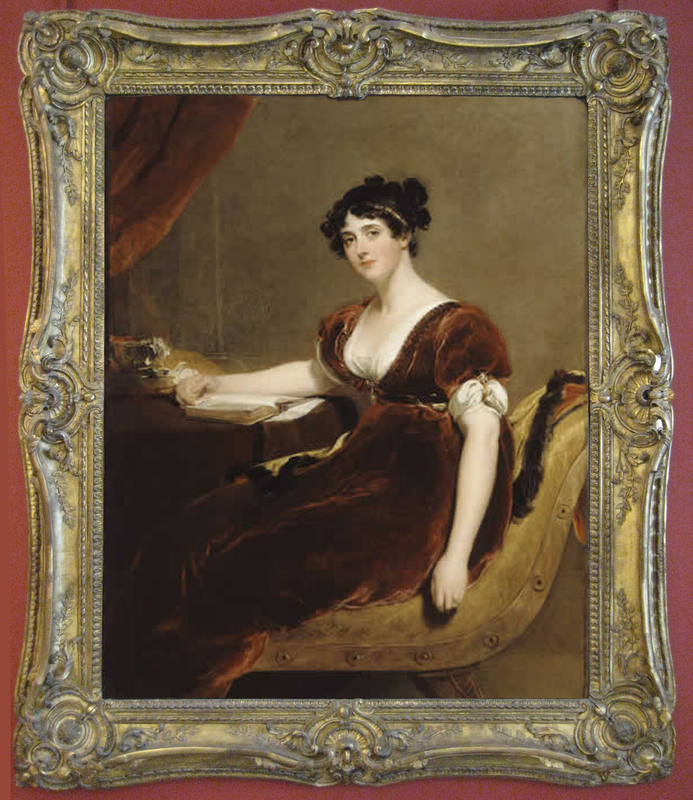 13, above: a 19th century plaster version (Thomas Lawrence, attrib., Portrait of a lady, Wallace Collection). 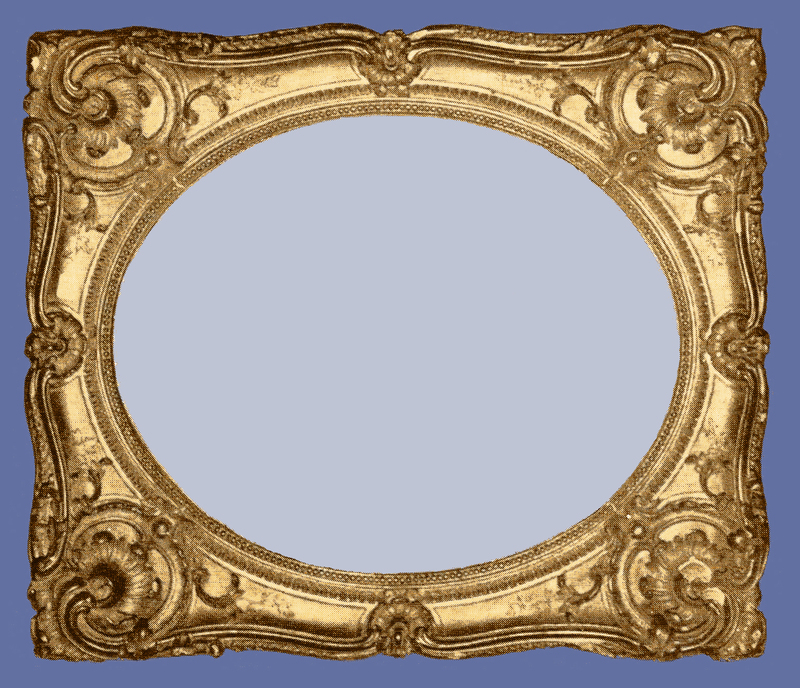 Other empty examples, rectangular, circular and oval, are or have been in the stocks of leading dealers in antique frames. 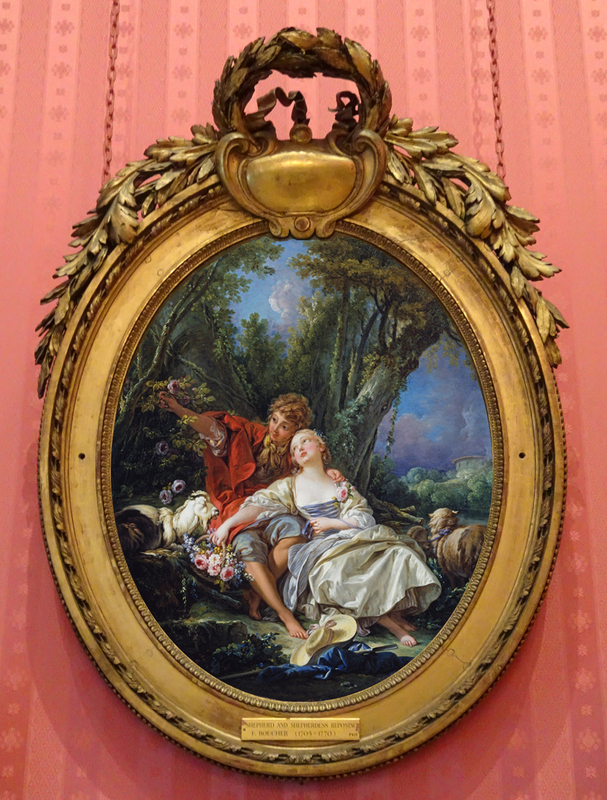 One of the Louvre examples, ironically on Reynolds’s Portrait of Master Hare (fig. 21), is signed by Chérin. This article was first published in The international journal of museum management & curatorship, vol. 4, no 2, June 1985, pp. 147-54. Grateful thanks go to Bruno Hochart for the image of the Nicolas Pineau drawing. Paul Mitchell read architecture and fine arts at Cambridge, and European art history at the Courtauld Institute of Art, London. 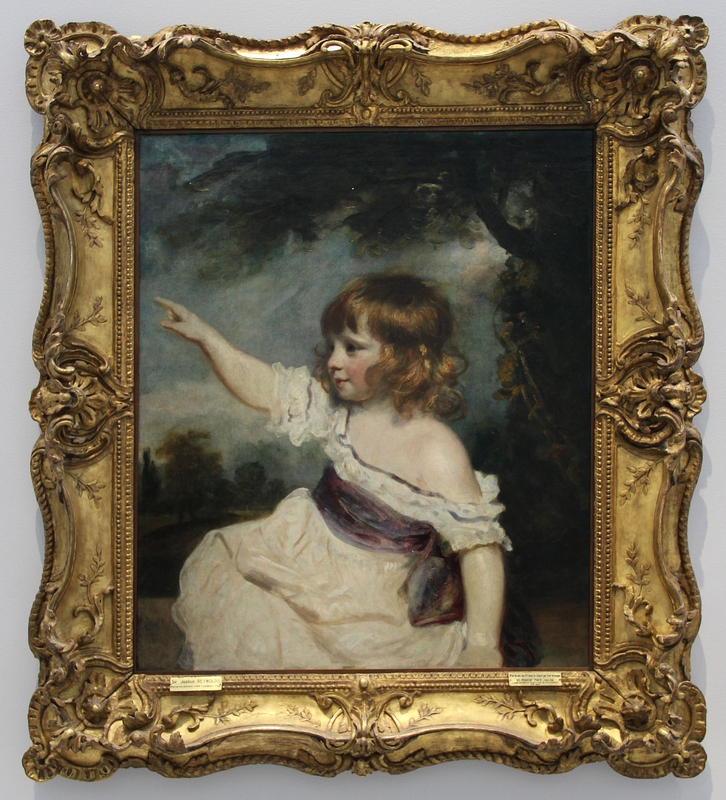 A frame historian and consultant of international reputation, he has published articles on European frames in specialist periodicals and exhibition catalogues, including Wright of Derby (Tate Gallery, 1990), and a guide to frames in the catalogue of the Thyssen Collection (1989). He is the co-author of A history of European picture frames and Frameworks, both 1996. Holes for hanging fixtures are one-third of the way down the short sides, showing that the original picture was horizontal in format, although not a standard canvas size. 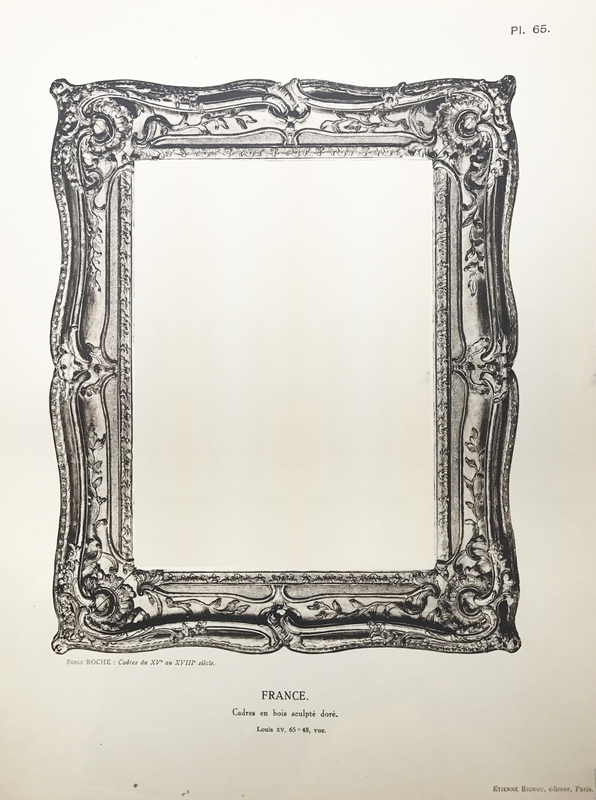 Judging by the frame’s quality (and perhaps also because it is stamped) it was possibly commissioned for the work of a first-rank French artist, but the rebate depth of 0.8 cm. 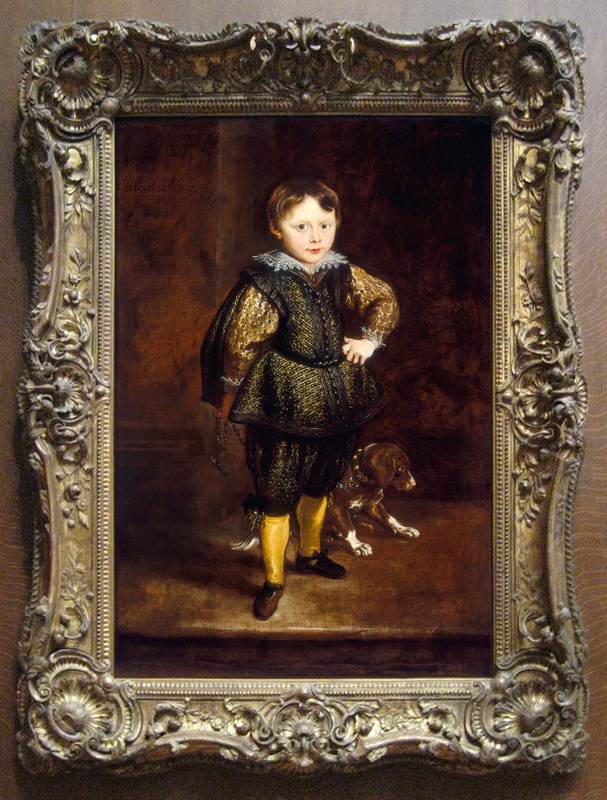 indicates that it was intended to receive a panel, therefore it is more likely to have been carved for a Dutch or Flemish 17th century painting which required reframing in order to harmonize with the interior of a new owner’s house. See the entries in Henri Vial, Adrien Marcel & André Girodie, Les artistes décorateurs de bois, Paris, 1922, and François de Salverte, Les ébénistes du XVIIIe siècle, Paris, 1934, & later eds. The entry in Vial states that in 1769 Chérin was one of the opponents of the seals of the painter François Jacques Arnaud, with the gilder Antoine Lecomte, the architect Claude-Pierre Convers and the painter Philippe-Joseph Delsart. Guild membership allowed them to stamp their work, but this occurs rarely and then haphazardly. Many superb frames, as with furniture, were unmarked, and – as in Chérin’s case – some extremely modest articles bear stamps (see note 12). 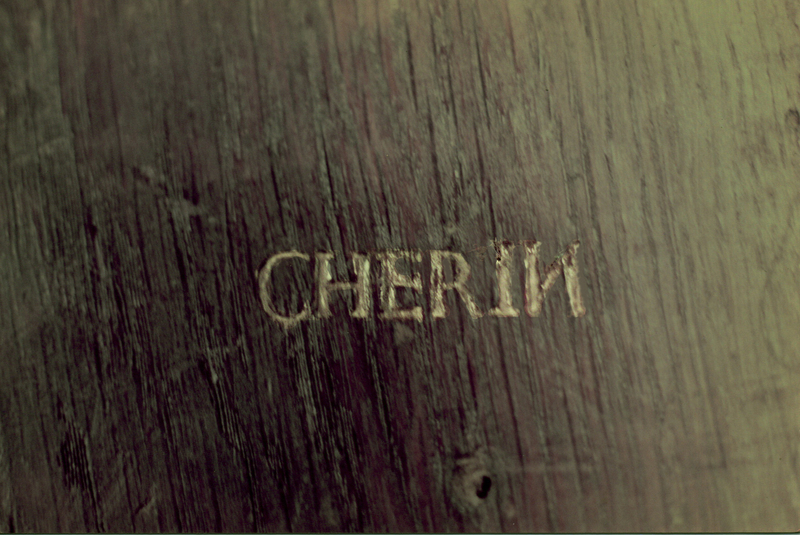 It is perhaps an indication of his stature that Chérin was the only framemaker, amongst the fifteen so far known by their marks, who worked for the Menus-Plaisirs (see list at end of article). It is reasonable to presume that in this rôle he designed and carved frames, among other items, for the Royal Household. For a discussion of the Académie de Saint-Luc and the Menus-Plaisirs, see Svend Eriksen, Early NeoClassicism in France, London, 1974. Within the traditional and strict French guild system, menuisiers were responsible for producing furniture from the solid wood, and ébéinstes for veneered work. The Corporation des Menuisiers, which existed from mediaeval times, becaame officially the Corporation des menuisiers-ébénistes in the revised statutes of 1744-51. The guild system was abolished by the Revolution in in 1791. See Eriksen, op. cit. ; note 4, plate 163, and for others plates 157-69. For engravings of Briseux see T.A. Strange, French interiors, furniture, decoration, woodwork and allied arts, New York, 1968. Between this volume, Roche, op. cit., note 8, and D. Guilmard, Les ornemanistes, Paris, 1980, are illustrated engravings or drawings of picture frames and borders by the following designers: Jean Le Pautre (1618-82), Jean-Bernard Toro (1672-1731), Robert de Cotte (1656-1735), Gilles-Marie Oppenord (1672-1742), Juste Aurèle Meissonier (1695-1750), Daniel Marot (c.1663-1752), Nicolas Pineau (1684-1754), Charles Etienne Briseux (1680-1754), Hubert François Gravelot (1699-1773), Jacques-François Blondel (1705-74), Pierre Edmé Babel (fl.1736-75), Johann Esaias Nilson (1721-88), Jean-Charles Delafosse (1734-89), Richard Lalonde (fl.1780s & 1790s). For comprehensive biographies of these designers see Simon Jervis, The Penguin Dictionary of design & designers, Harmondsworth, 1984. 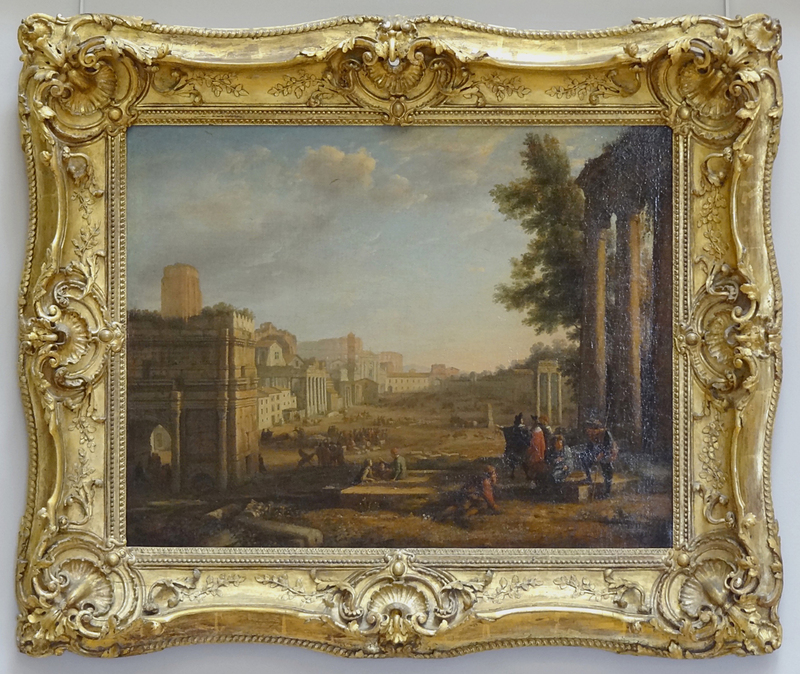 An almost identical version of this frame with a rectangular entrelac profile is in store at the Louvre. 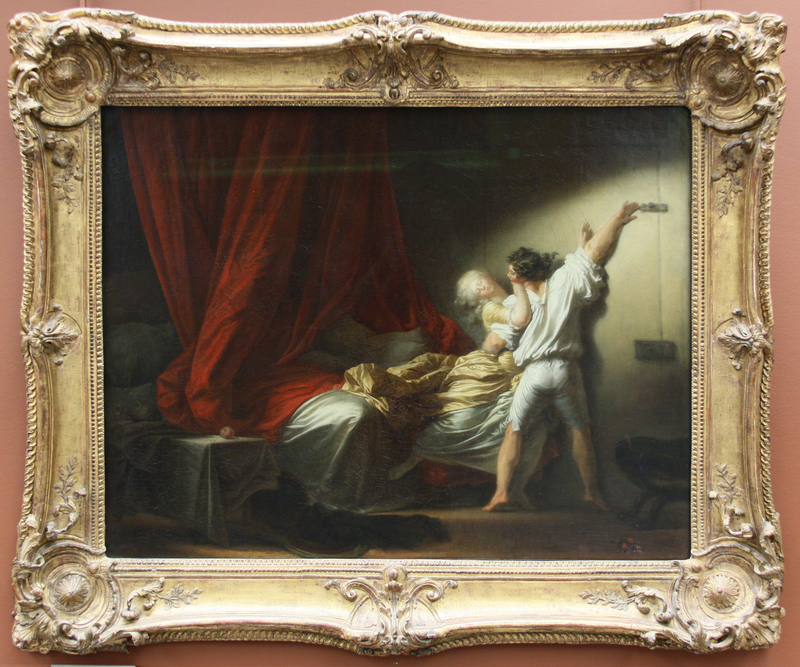 Musée des Arts Décoratifs, Paris; reproduced from Serge Roche, op. cit., note 8, plate 64. See Kalnein and Levey, op. cit., note 7, plate 282. 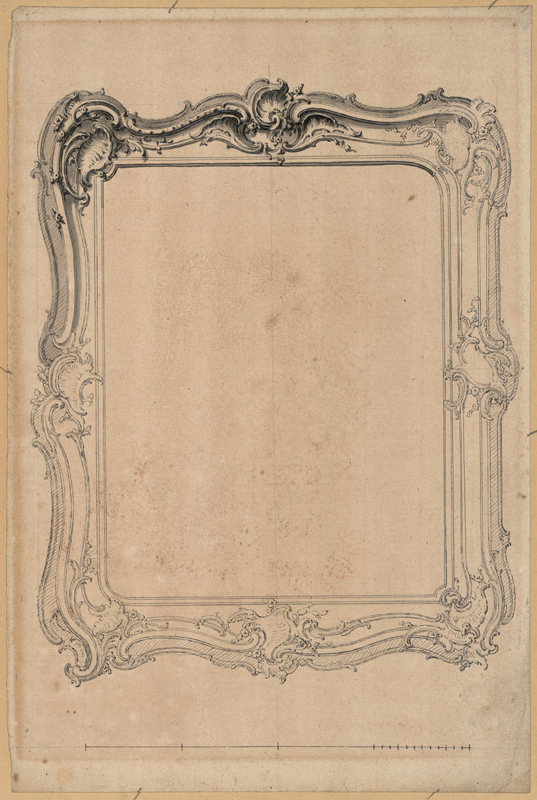 A Louis XVI frame decorated with pearls and rais-de coeurs, seen by the author at auction, bore the CHERIN stamp, together with the monogram ‘JME’, the initials of the jures-menuisiers-ébénistes, which was applied by officials of the Guild during routine inspections at members’ workshops. See also note 3. In the Lowy collection, we have three frames by Cherin ca. 1760. At least one of these frames is signed. There is also a similar signed frame in the collection of the Getty Museum which was on view (without a painting) the last time I was there. Thank you very much for the information. If you would like to send photos, I would be very happy to add them, either to this article in an appendix, or to a further article on stamped frames, coming in the future? You would be credited, and a link added. 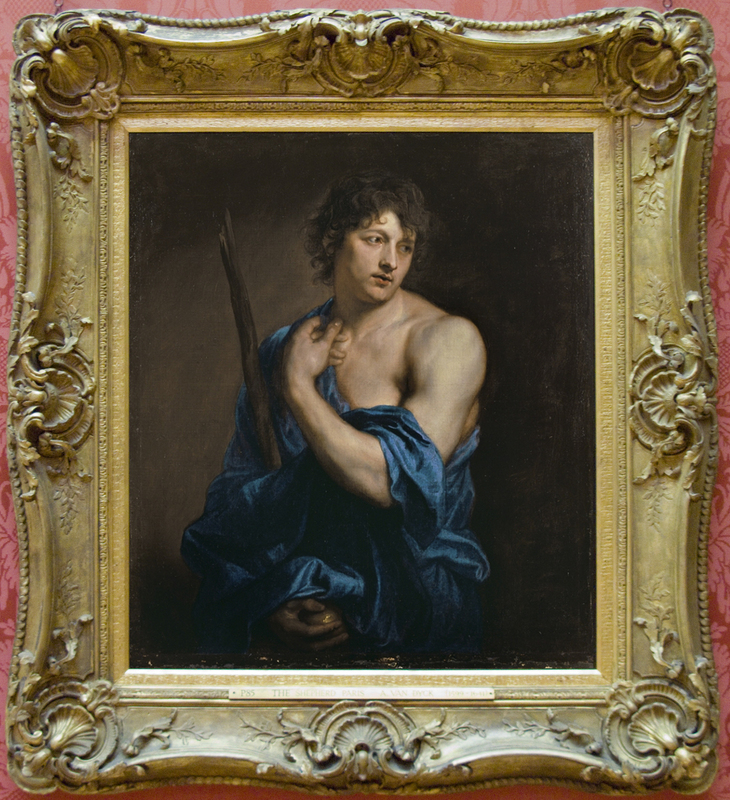 Thank you too, for the note about the Getty frame; there was one on a looking glass in the frame exh in 2015 – would that be the one you mean? After 32 years this study has a vast new audience entirely due to your immense efforts. Wonderful to see images in colour especially all those referred to in the original. Well done getting all permissions and adding new material from Rijksmuseum etc. You deserve another medal. Thanks again also for the before and after texts so beautifully done this week! Typo amended; have dyslexic fingers! “he was classed as a sculptor” Indeed!